"Even animals are treated better than us." 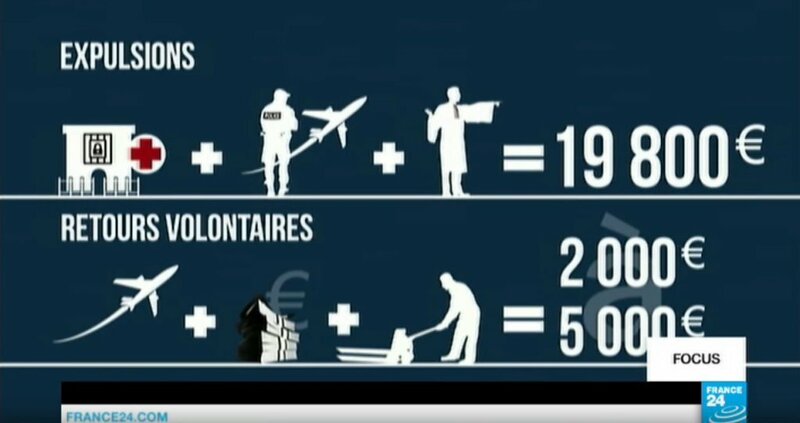 Since January 3rd, around 40 people in a holding center (Centre de retention - CRA) in Vincennes in the Paris region have been on hunger strike. 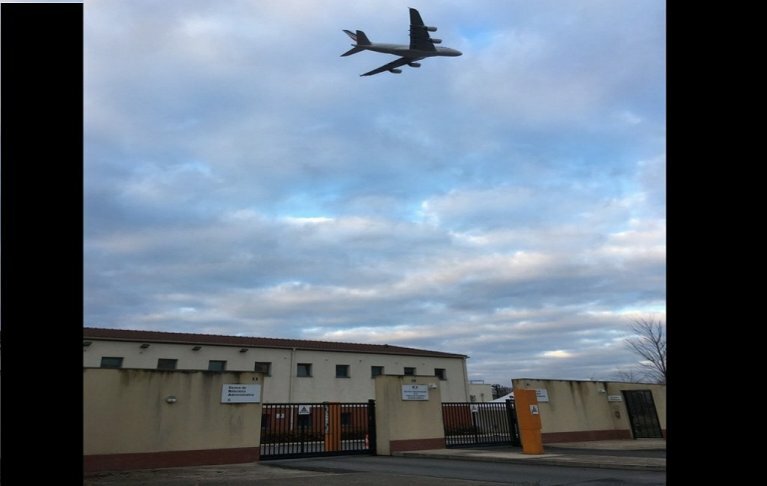 That group were joined by about 70 migrants detained in another CRA in Mesnil-Amelot, not far from the main Paris airport Roissy Charles-de-Gaulle, in the north of the city. The strikers have numerous grievances. Most of all they want to protest against the conditions in which they are being held within the centers. "We are being treated like prisoners, even though we only have problems with our documents," complained one migrant who asked to be called Rachid (not his real name.) Rachid has been in Mesnil-Amelot since the beginning of 2019. He told InfoMigrants: "In prison they are treated better than us. Prison is a paradise compared to here." The 22-year-old knows what he is talking about - he already spent some time behind bars before being sent to the CRA. La Cimade, an organization set up in 1939 to come to the aid of those who are oppressed or exploited, is helping migrants being held in CRAs in France, including the one in Mesnil-Amelot. The organization says that it understands the reasons behind the hunger strikers protest. "The living conditions inside are really unbearable," said one member of La Cimade on condition of anonymity. "CRAs are not legally or administratively part of the prison system, but that doesn't mean they are not prison-like. There are police officers present throughout, there are isolation cells, barbed wire, bars, loud speakers, watch towers […] It has all been inspired by the prison universe," wrote La Cimade in its 2017 report on holding centers in France. Those on hunger strike say that they are no longer willing to put up with the filth and unhygienic conditions in the centers. Areas singled out are the toilets, showers and rooms where people sleep. "It is possible to wash, but the showers are blocked, it is disgusting," explained Rachid. "The communal spaces are not washed regularly, we are living in filth." A video shared by the website StreetPress in March 2018 backed up his account by showing toilets and showers that were completely blocked in the CRA in Mesnil-Amelot. Food is another source of complaint for the hunger strikers. Several people of Muslim faith claim that they are not offered halal food. Others refer to the food provided in the centers as "foul." And the complaints don't stop there. The hunger strikers also claim that the security forces commit violence during the expulsion process. "You can be hit or shaken even if you don't struggle. Even if you wanted to resist, it wouldn't really be possible with a dozen police officers surrounding you," Rachid said. La Cimade also put forth evidence of violence. "During expulsions, violence and beatings are regularly reported by people being held. This happens often as they are about to board the planes. There are some pretty harsh techniques officially authorized during this moment. People can be bound, some are forced to wear hoods, or are held by several police officers," their report outlined. The lack of access to medical care can also pose problems. "There is no doctor present 24 hours a day. Access to medical care is extremely limited in CRAs," an anonymous member of La Cimade told InfoMigrants. Mohammed (also not his real name) is Egyptian and has lived in France since 2010. At the moment he is being detained in the CRA at Mesnil-Amelot. He told InfoMigrants that staff there have refused him access to a doctor. "I had really bad tooth ache. But the police officers just told me that I didn't have the right to see a doctor. They took me instead to a clinic with nurses but all they gave me was a painkiller," he explained. The hunger strikers are also protesting against a new clause in the asylum and immigration law which was adopted in 2018. This clause has expanded the maximum time spent in holding centers from 45 to 90 days. Strikers are also angry about what they call "hidden or secret flights." This refers to situations where migrants are not informed that they will be expelled until they are asked to board a plane. "So they don't have time to gather any support from outside which means they can't prepare for the expulsion," said La Cimade. InfoMigrants contacted the French police authorities and the Préfecture in charge of running these centers, but to date, they have not yet responded to our request for a statement.